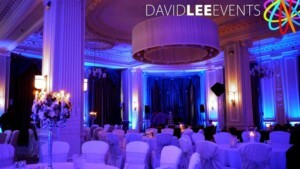 David Lee Events Lighting Hire. 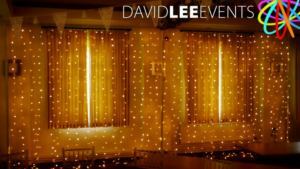 Offering various lighting services to enhance your wedding or event. We do weddings. We do Corporate Events. We do Birthday Parties. 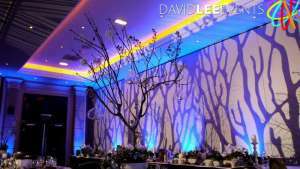 Basically if you are having a party or event of of some description and you want some venue lighting. Something to take peoples eyes of the hideous carpet, or highlight certain features. 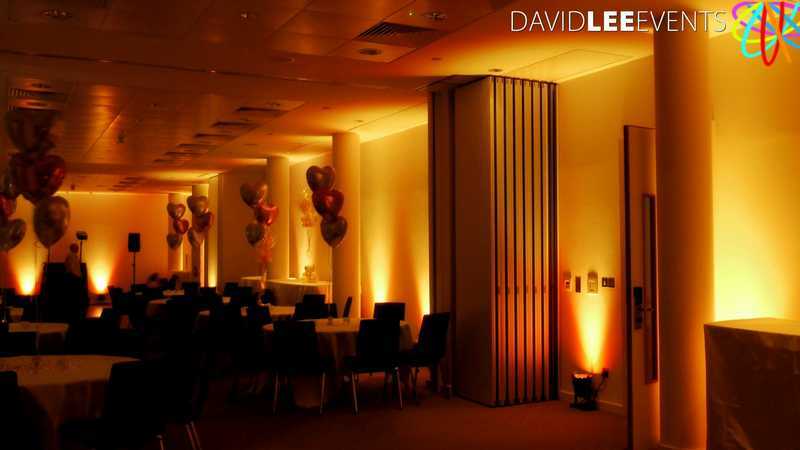 Maybe you have a colour theme or type of lighting in mind, then get in touch. We do all sorts of events but primarily we do weddings and we do them well. Depending if your looking on a PC or mobile device there will either be a selection of boxes to the right or underneath (mobile) if you click the image it will take you a dedicated page about that form of lighting. With galleries of each type, showing how it can create the right mood, effect or theme. Have a look around and see what enlivens your imagination. And obviously, packages are available, the more you have the more you save! Due to size, distance and installation, each lighting service has to be priced accordingly. But for a guide say Uplighting (on it’s own) is usually from £250 . This price is including delivery, installation & collected after the event. I also price to do the job right, I do not price per light. Last thing you want is me phoning on the morning of your wedding telling you “you need another 2/3 lights or your going to have a blank space” then asking you to pay it before installation. My way means once you’ve paid, you know it’s sorted. I’ll happily give you a rough guide to how many, so don’t worry. Availability is another tough one to be exact about. Even thou I have enough stock to do the largest of rooms or halls, sometimes there isn’t enough left over to do 2/3/4 jobs on one day. So the sooner you make your inquires and decide the better. Sometimes I might need to install the day before and collect the day after – you own’t be charged extra. I’ll just explain, and if we can sort it, then great. If not I won’t waste your time. As we are based in Oldham, we are right on the borders of Greater Manchester, Lancashire, Derbyshire, West Yorkshire, Cheshire, and pretty much the rest of the North West. If you are outside these areas, that doesn’t mean we won’t travel to you. It’s just our main area we cover on a regular basis. So wherever you are getting married or holding your event on this great island of ours, get in touch and if we can, we will. 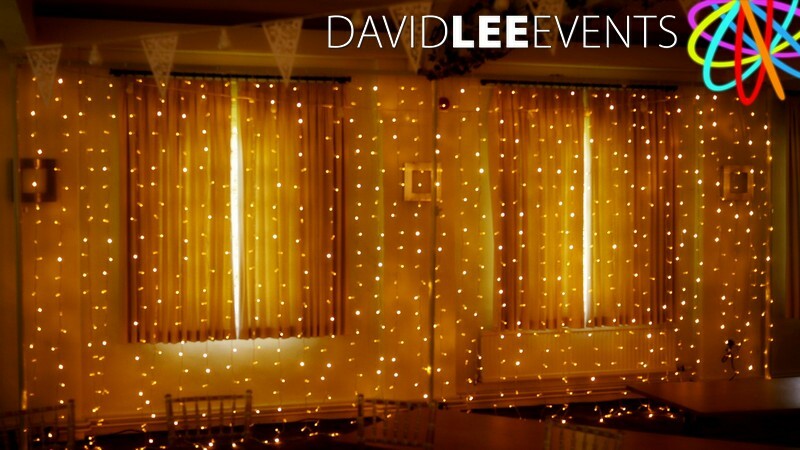 My main specialist lighting hire is Up-lighting, but I offer much more for you to truly convert any function room, hall or area. 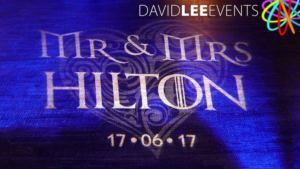 From uplighting hire, and image projection to UV lighting, Festoon & Fairy lights along with monogram projection to name but a few others. You can hire just the one service to give an enhancement or create your own package to really give your venue a make over. 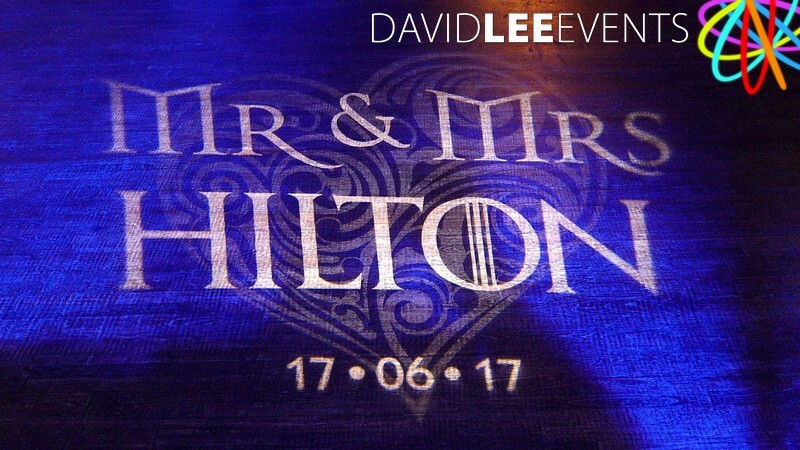 Changing the whole atmosphere of the venue, and creating the WOW effect for your guests as soon as the walk into the room. 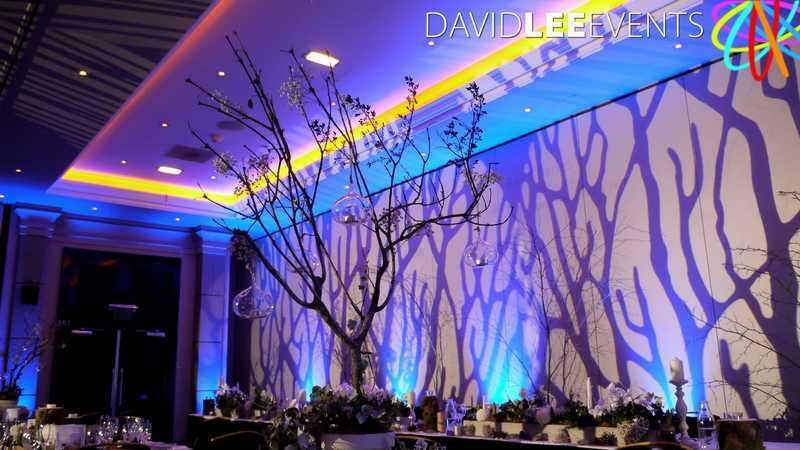 So basically whatever you are trying to do lighting wise, give me a call or email, with your venue, date and budget and I will advise with the best venue lighting options to give you the best effect. With a high regard for doing the job right, I always make sure the package I offer you is the right one. Always offering you advice, giving you full peace of mind.